It just makes sense that different business and IT models require different collaboration solutions. Some choose to get collaboration services solely from the cloud, but it's better for others to keep it on premises. And still other organizations need the flexibility from a mix of both. Learn more about the advantages of each decision based on your own business and IT priorities. You need consistent, superior collaboration capabilities, whichever choice you make. 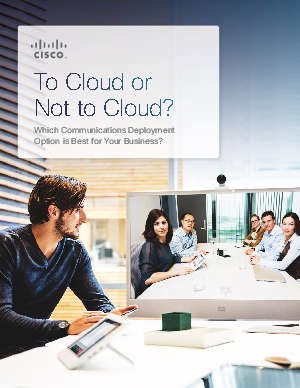 Read the free "To Cloud or Not to Cloud?" guide to help you choose.